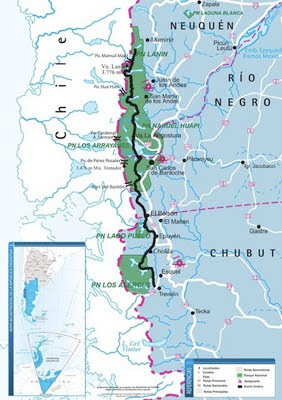 Begun over a decade ago, the Sendero de Chile is an ambitious project to create a foot, bicycle and horseback trail that runs the length of one of the world’s longest countries. Argentina hasn’t yet attempted anything quite so ambitious but, soon enough, a 560-km Huella Andina (Andean Trail) through five northern Patagonian national parks should unite Lago Aluminé, in Neuquén province, with the Baguilt area near Trevelin, in Chubut province. 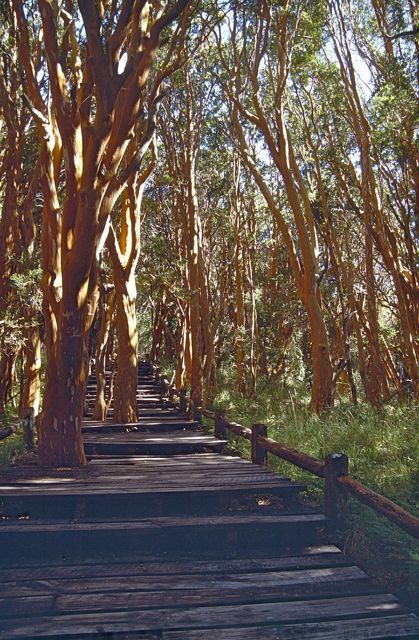 Like the Sendero de Chile, the Huella Andina will integrate a series of existing forest footpaths to provide a long-distance hiking alternative that could become a major trekking attraction – perhaps comparable to California’s 211-mile (340 km) John Muir Trail through the Sierra Nevada. From north to south, it will pass through Parque Nacional Lanín, Parque Nacional Nahuel Huapi, Parque Nacional Los Arrayanes, Parque Nacional Lago Puelo and Parque Nacional Los Alerces. It will also pass through equally scenic areas such as El Bolsón, which are not (yet, at least) part of any national park. 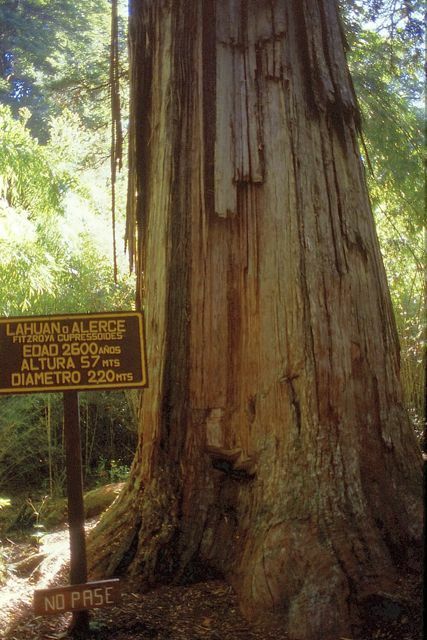 Another way of considering the trail may be “From the Araucarias to the Alerces.” On the Argentine side of the Andes, as in Chile, the monkey puzzle tree and the false larch (also known as Patagonian cypress) are both endemic species with a small geographical range. Araucaria araucana (pictured above, it bears the name pewen in the indigenous Mapudungun language) starts just north of Lago Aluminé and ends around the latitude of San Martín de los Andes, though some may have been introduced into Nahuel Huapi. The alerce (Fitzroya cupressoides) has an even smaller range, nearly limited to its namesake national park (the photograph below displays one of the finest specimens). 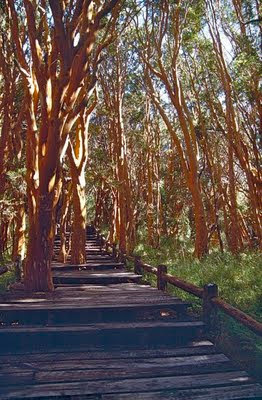 About midway, the Huella Andina will visit another arboreal attraction – just south of Villa La Angostura, hikers will pass through the myrtle forests of Los Arrayanes (pictured below). 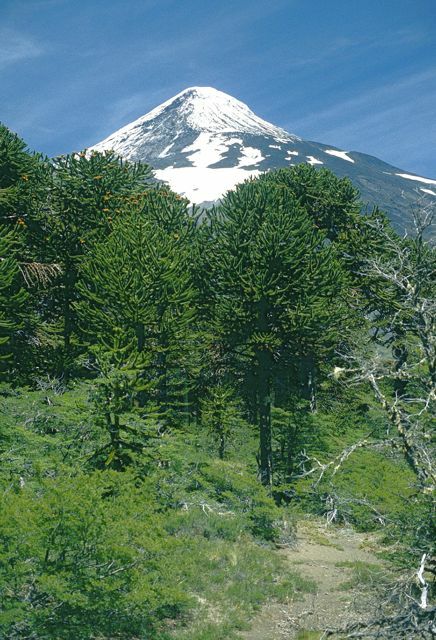 While it has a far greater range than either the Araucaria or the alerce, the finest specimens of this red-barked, glossy-leave species are found on this narrow peninsula that juts into Lago Nahuel Huapi). 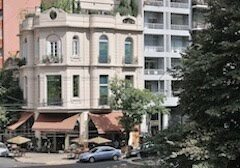 Next Saturday, August 20, will mark the second of several digital slide presentations on the fourth edition of Moon Handbooks Buenos Aires, at various branches of the San Mateo County Library. The event starts at 2 p.m. at the Atherton Library (2 Dinkelspiel Station Lane, Atherton, CA 94027, tel. 650/328-2422). There will be ample time for questions and answers, and books will be on sale. Atherton, one of the Bay Area’s wealthiest communities, has strong South American connections – Massachusetts-born Faxon Atherton, for whom the city is named, spent 27 years as a merchant in the Chile's World Heritage port of Valparaíso, married a Chilean woman who gave him seven children, and lived in California from 1860 until his death in 1877. He also owned large tracts of present-day Hayward and Watsonville.